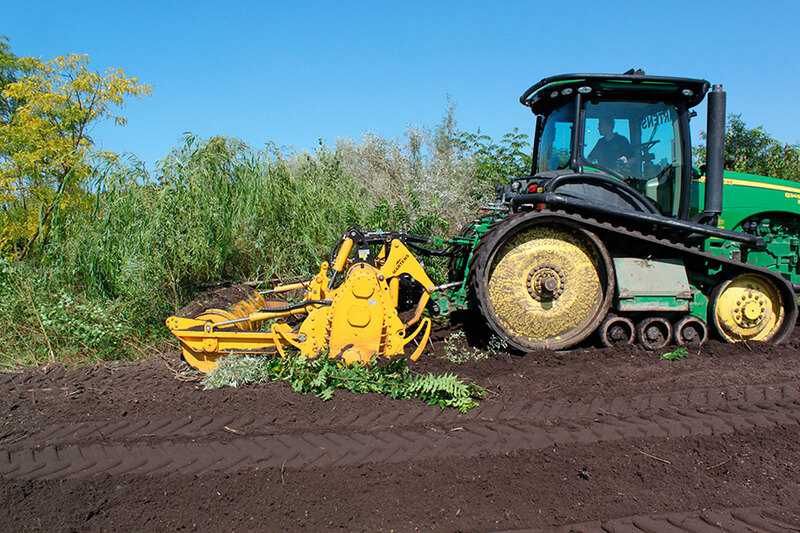 Designed and engineered to the highest of standards of Efficiency, Reliability and Durability, MeriCrusher MJFS mulchers works with large tractors up to 768hp. 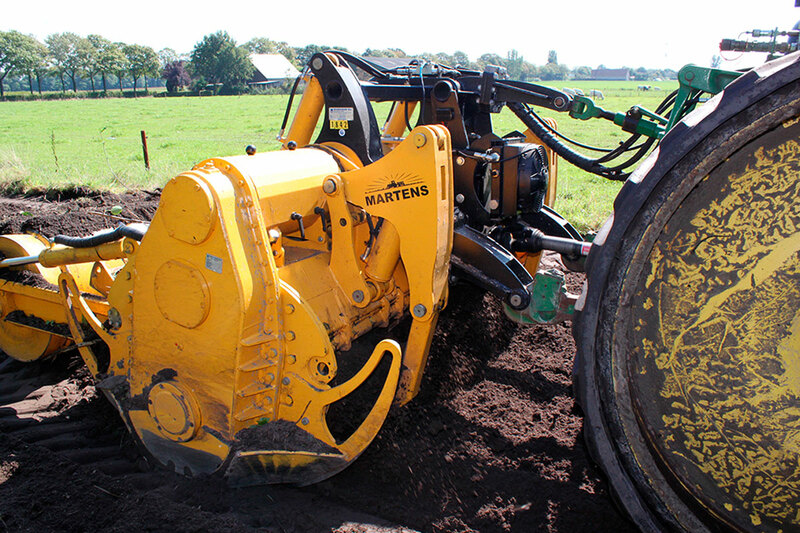 Equipped with the latest technology and advancements, subsoiling working depths up to 16" (400mm) are achievable. Single or dual X-series gear transmission with modular design and engineering allow for upgrades and future component changes. 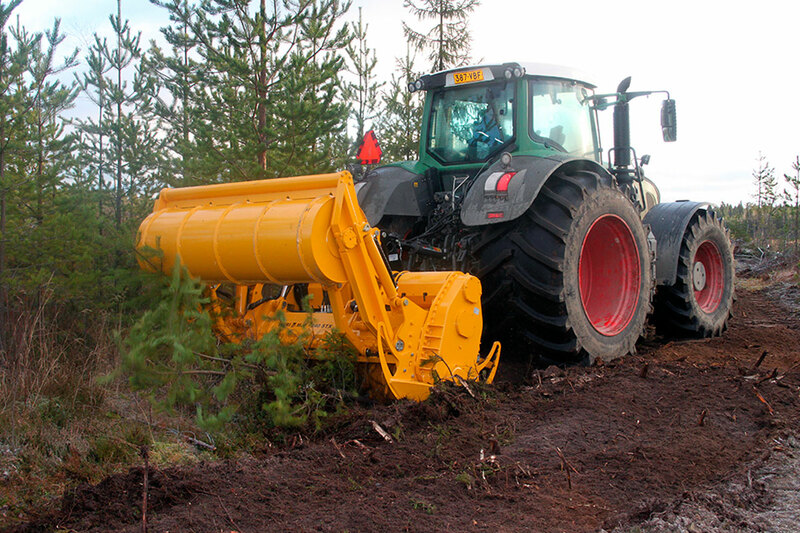 MeriCrusher MJFS attachments are designed for the most demanding land and forestry clearing projects and professionals. 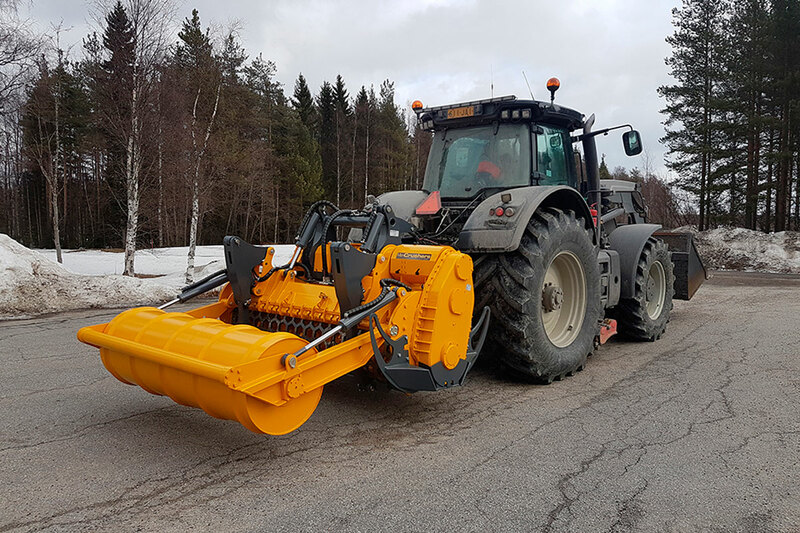 Using the latest concepts in engineering design, and only the best components, MJFS mulchers are ideal for tractors up to 700hp. Working in conditions where Reliability, Durability and a fine crushing result are required, the MJFS excells. 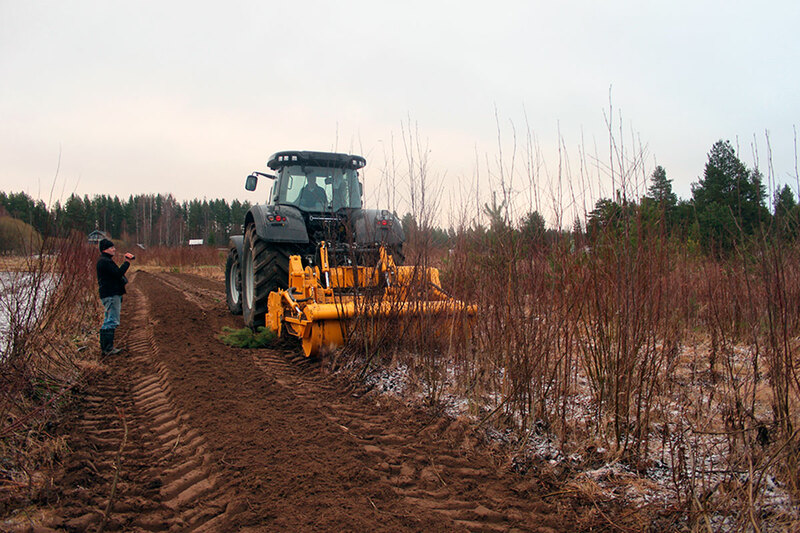 The PowerFrame keeps PTO driveline angles to a minimum, improves Efficiency and Usefulness. 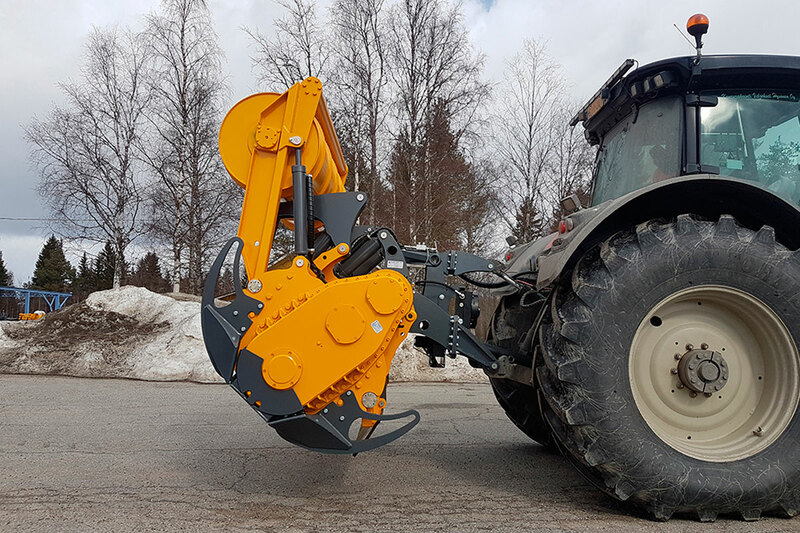 Patented Suokone POC safety clutch protects the X-series gear transmission, and a massive 32" rotor (800mm), brings material handling ability to a new level. With several rotor options, including a rotating screen for the finest of crushing results, the MeriCrusher MJFS will meet and exceed your expectations. 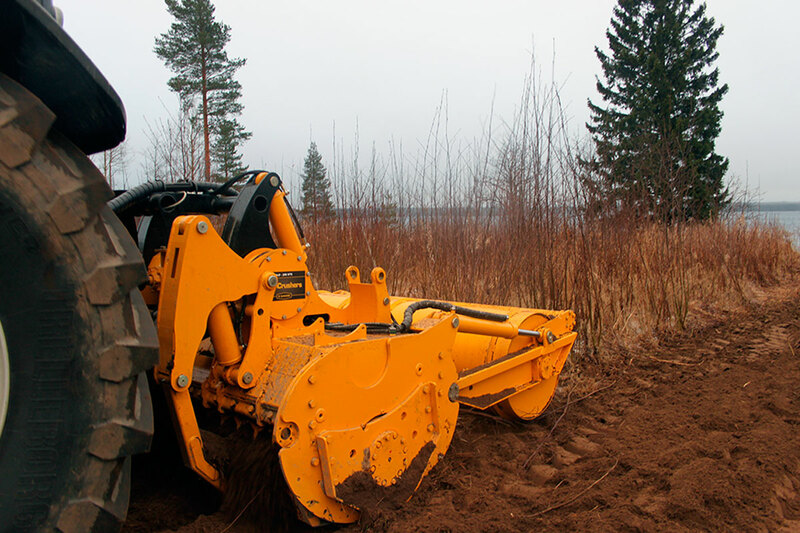 STB-rotor with Cost Effective conical carbide cutters for heavy soil and dense vegetation..
UNT-rotor with Cost Effective conical carbide cutters and extra durable, forged cutter holders for extreme demanding conditions. Rotor diameter 800mm / 31"
Working depth 400mm / 16"